What items does History Sweeper clean up? • Content Temporary Files; History Files; Cookies; Auto Complete Password; Auto Complete Form Data (including your search terms); AOL; and MSN; Google Toolbar, MSN Toolbar, and Yahoo Toolbar histories. • Document History; Windows Find History; Windows Run History; Temporary Files; Recycle Bin; Network History; and Last Logon User. • Microsoft office (Word, Power Point, Excel, and Access); Windows Media Player; RealPlayer (including RealOne Player); and Adobe Acrobat Reader. N.B: You can also define custom locations for sweeping. Enterprise IT infrastructures are increasingly complex to manage. 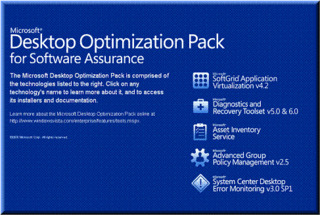 The Microsoft Desktop Optimization Pack (MDOP) is a dynamic desktop solution that is available as a subscription for Software Assurance customers. The solution suite enhances application deployment and compatibility, increases IT responsiveness and end user uptime, and helps reduce total cost of ownership (TCO) of yourdesktop software and IT management..
Microsoft Application Virtualization (App-V) turns applications into centrally managed services that are never installed, never conflict, and are streamed on demand to end users. Microsoft Enterprise Desktop Virtualization (MED-V) provides deployment and management of virtual PC images to enable key enterprise scenarios, primarily application compatibility with Windows Vista and Windows 7.Microsoft Advanced Group Policy Management (AGPM) provides governance and control over Group Policy through robust change management and role-based administration.Microsoft Asset Inventory Service (AIS) is a hosted service that collects software inventory data and translates it into business intelligence.Microsoft Diagnostics and Recovery Toolset (DaRT) reduces downtime by accelerating desktop repair, recovery, and troubleshooting of unbootable Windows-based desktops.Microsoft System Center Desktop Error Monitoring (DEM) enables proactive problem management by analyzing and reporting on application and system crashes. PC ERROR SWEEPER – Most Advanced PC Error Repair! PC ERROR SWEEPER uses revolutionary, state-of-the-art technology to scan your registry for errors and correct and errors that it finds. With just one click of your mouse,PC ERROR SWEEPER will go to work restoring your registry, increasing the speed, performance and stability of your computer. 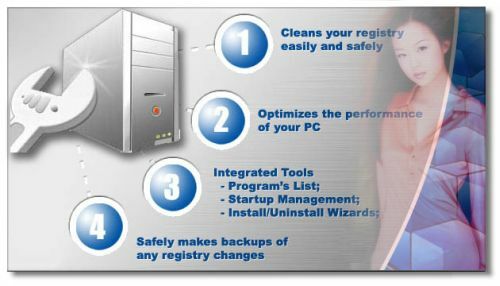 PC ERROR SWEEPER can scan and repair your registry in minutes flat, restoring your computer’s speed and performance and having you on your way to a hassle-free computing experience in no time. Turbo-charge your system speed with just the click of a mouse. 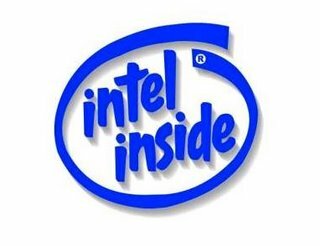 Our free scan will troubleshoot your PC and identify any corrupt files, paths or registry keys that may be affecting your computer’s performance. Have you been wishing there was a way to speed up your computer without replacing your hard drive or deleting valuable programs or files?PC ERROR SWEEPER provides just what you’ve been looking for! Features: – Instant Scanning and Repair of your PC. – Compress and defrag your Registry with just a mouse click. – The flexibility to choose automatic Error Removal or manual Error Removal. – Registry backup utilities. – Elimination of invalid shortcuts. – Duplicate file Deletion. – DLL file Repair. – Deletion of invalid help files. – The ability to Fix installer Errors. – Elimination of runtime Errors. – Elimination and correction of Windows start-up Errors. – Stabilization of scripting Errors. – Restores correct file and Registry paths. – Fixes DLL files, OCX and ActiveX components. Revolutionary Computer Repair – Instantly! Get Error SWEEPER Now and Restore your Computer’s Reliability and Speed! Maze released new & updated version of ”PC power sweeper”. This application gives you control over your Windows. PC Power Sweeper cleans cache, cookies, history, recent files lists, MRU list, index.dat, Recycle bin, autocom-plete data, or temporary logs. Enhanced features as scheduling automatic cleaning, improves Internet and system speed. Read Nfo for installation instructions. Control various messengers and browsers options, repair registry keys, shred files and folders to free disk space, and much, much more. Works with browsers as Firefox, Yahoo AOL MSN Explorer, Opera, Juno, Microsoft Internet Explorer Netscape Navigator, and over 180 pre-configured standard and customized plug-ins for programs that leave traces of your activity such as Kazaa, Morpheus, Shareaza, Adobe, Bearshare, Copernic, Download Accelerator (DAP), Macromedia, Getright, Imesh, Napster Norton, Realnetworks, Trillian, Winzip, and Winrar. Create custom plug-ins to allow you to easily assign any files, folders, registry entries to be cleaned. Internet speed booster feature included to optimize the Internet connections, remove the redundant DLLs in your hard drive. It Implements a schedule to make the cleaning process run at specific times. Version 2.1 may include unspecified updates, enhancements, or bug fixes. * 26 Windows ® options. * Delete unused registry keys. * Create new Plugins containing registry keys and files. * Clean Microsoft Office ® recent files lists. * Delete unused log files. * Remove programs or services from startup list. * Shred files, folders or entire drives. * Scan and repair registry keys. * Clean cache, history, cookies and bookmarks for the most popular browsers…and much more.